Created by 24’s Joel Surnow, this comedy news show was developed as an alternative to the left-leaning The Daily Show on Comedy Central. 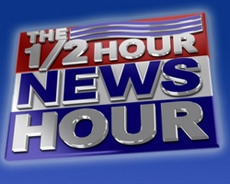 The newscast is anchored by fictional anchors Kurt McNally (Kurt Long) and Jennifer Lange (Jennifer Robinson). The FOX News Channel show also features Manny Cotom, Ned Rice, and frequent appearances by Dennis Miller. Topical “news stories” and sketches include: General Petraeus testimony, Osama Bin Ladin and Katie Couric, Osama Bin Ladin and iPhone video, Osama Bin Ladin and Chevy Chase, Osama Bin Ladin in Malibu, Democratic debate in Spanish, John Edwards intelligence, Al Gore’s private jet and Peta, and Paul McCartney and Renee Zellweger. Feature Stories: Vice Presidential Historian on Barrack Obama, Britney’s VMA excuses, Do-Nothing 110th Congress Commemorative Plate Series, Guy White pronouncing Spanish Countries, Joe Biden on Britney, Burglaries of Congressional offices, Al Gore endorses Obama, The Emmys, Indiana Jones IV, Al Gore’s next book, 76-year-old woman lost in mountains for 2 weeks. A Closer Look: Kansas Secular University commencement address. 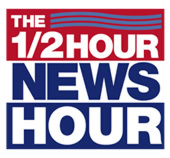 1/2 Hour News Hour’s History: April 8th, 1958 – First Day on Cuba; June 27, 1974 – Global Cooling, July 16, 1986 – Reagan. Dennis Miller’s Random Thoughts: Lindsay Lohan, feminism, Democrats and socialists, Iraq/Iran, liberals and terrorists, money for art, Robert Bryd is obsolete. First aired: September 23, 2007.